Almost 100 mi. (161 km) of cable would be laid on the bottom of Lake Champlain from the Canadian border to Benson, with the remaining 50 mi. (80 km) buried in public rights of way to Ludlow, where it would connect to the New England power grid. MONTPELIER, Vt. (AP) Long-term plans to bring renewable Canadian electricity to the power-hungry markets of southern New England got a big boost when Vermont utility regulators approved a plan to build a 1,000-megawatt transmission line down Lake Champlain and across the state to feed the regional power grid, experts say. TDI New England is still awaiting its final federal permits before it can begin construction and contracts to deliver power, but the system could become the first piece of a system to supply renewable electricity to Massachusetts, Connecticut and Rhode Island. Unlike the Northern Pass project proposed for northern New Hampshire, the $1.2 billion, privately funded TDI project faced no significant opposition in Vermont, something unusual for the state. The difference is the entire TDI project, which would provide enough power for about 1 million homes, would be invisible. Almost 100 mi. (161 km) of cable would be laid on the bottom of Lake Champlain from the Canadian border to Benson, with the remaining 50 mi. (80 km) buried in public rights of way to Ludlow, where it would connect to the New England power grid. Massachusetts, Connecticut and Rhode Island are looking for renewable energy as part of a broader effort to reduce electricity costs and provide reliable sources of power as other aging power plants go offline. There are ample sources of Canadian hydro-, wind and solar power, but the mechanism to deliver that power through Vermont, New Hampshire and Maine are only now being proposed, with none under construction as yet. The TDI project is one of four large-scale transmission projects being discussed in New England, although experts say more could emerge. To win approval from Vermont regulators, TDI agreed to fund $720.9 million in payments and benefits over the expected 40-year life of the project once the line is carrying electricity. 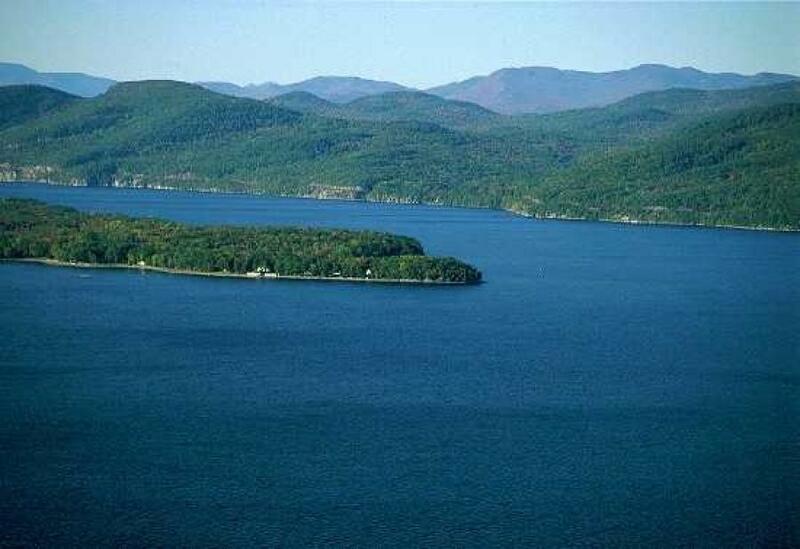 It includes $263 million for Lake Champlain cleanup projects, almost $109 million for renewable energy programs and $135.7 million in benefits to Vermont electric ratepayers. And those figures don't include construction jobs, or jobs once the line is in operation. TDI also worked to meet the concerns of officials in the communities along the line, Recchia and others said. The ease with which the TDI project has won approval in Vermont is a contrast with the struggle by proponents of New Hampshire's Northern Pass project, a proposed 192-mi. (309 km) transmission line from the Canadian border to Deerfield, which would carry 1,090 megawatts. Backers said it will create jobs and lower costs in a region that pays the nation's highest average cost for electricity. Opponents have argued it will hurt property values, tourism and the environment. The New Hampshire project was initially proposed to be built mostly above ground. Now backers are proposing burying a portion of it but say it would be too expensive to bury the entire line. Jack Savage, a spokesman of the Society for the Protection of New Hampshire Forests, a vocal critic of Northern Pass, which has sued to block it, said that TDI did it right. TDI has been move attentive and responsive to the communities that would host the line than has Eversource, the company backing the Northern Pass project. “Arguably, they are far more likely to be building a line and transmitting energy [than Northern Pass] in the near future as a result,” Savage said. Eversource spokeswoman Lauren Collins said Jan. 8 the project's Forward New Hampshire Plan, announced last summer, is worth almost $4 billion and is a direct response to public concerns, including agreeing to bury more of the project. “The Forest Society is not in a place to gloss over this effort nor to criticize given its years of well-publicized attempts to delay the project,” Collins said.